Everyone probably knows some version of the story of King Arthur. 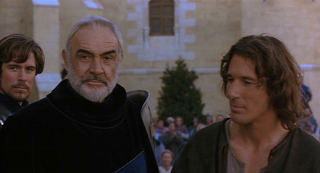 Whether you've gotten it from the hands of Monty Python, Richard Gere, T. H. White, Disney's The Sword in the Stone, Wagner, Keira Knightley, Richard Harris, Tennyson, Marion Zimmer Bradley, or Jamie Campbell Bower, you probably know the basics, the key characters and events. Like Arthur pulling the sword out of the stone, or his love for Guinevere, or Guinevere and Lancelot's love for one another, or Arthur's death...or maybe you're only familiar with the Tristan and Isolde bits. Merlin's usually in there somewhere with a cast of similarly magical persons. All of this goes back to a collection of stories gathered and written down by Sir Thomas Malory, a Knight of the Realm in Fifteenth Century England who composed parts of the work while imprisoned in Newgate for various reasons. 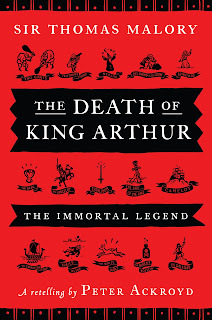 The original stories were of both French and English origin, from the Twelfth and Thirteenth Centuries, and they, with some of Malory's own original stories, make up the posthumously-published tome known as Le Morte d'Arthur. 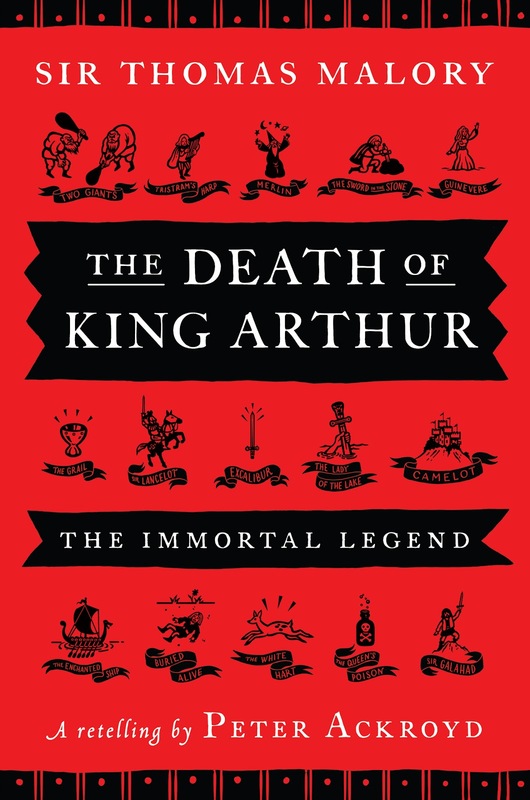 With The Death of King Arthur, Peter Ackroyd has taken on Malory's immense and sometimes-rambling work and not only condensed it to make it more approachable, but transformed the language itself into something more modern. A "modern idiom," he calls it. I have no doubt that a modern reader will likely find Ackroyd's interpretation a little more congenial and comprehendible than Malory's repetitive and often confusing narrative. The text is certainly more direct in this form. As for "modern idiom" I find it less successful. This mess a movie is SUCH a guilty pleasure of mine. Oh hai, Alexis Denisof! Instead of the sort of romantic (albeit repetitious) aspect of the original Malory, Ackroyd's text (while sufficient, and probably appealing to a younger audience who might have trouble figuring out the Middle English) is somewhat stark. When I turned to the first page of text, titled "Merlin," my eyes zoomed to about three-quarters of the way down the page to the line "She knew well enough that he wanted to violate her." Yeesh. That's, I think, an example of one of his less successful moments. However, the organization of the book (and the incredible amount of work that must have gone into this!!) is commendable and obviously without ulterior motive - Ackroyd merely abridges the text, he does not apply scathingly modern interpretations, concepts or situations. He's simply given us Malory with a slightly fresher coat of paint.